← Little Things, Big Effects! 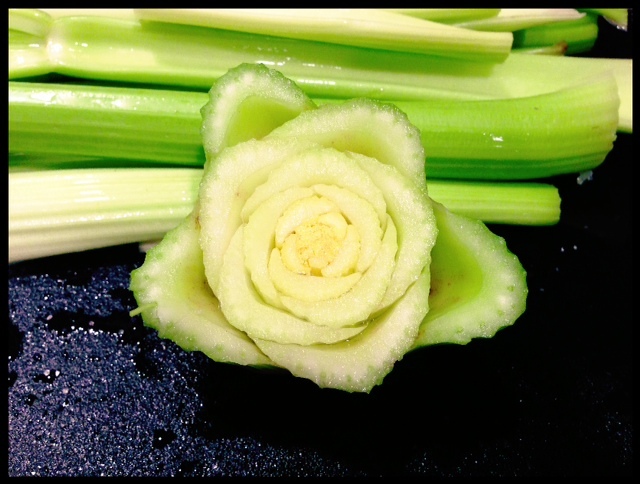 Here’s a celery flower for you in case yesterday left you empty handed. I just love the way God designs every detail. Living food is so beautiful! So, how was your Valentine’s day? Romantic? Predictable? One-of-a-kind? Whatever type of day you had… I hope that you were able to reflect on the giver of Love – and His ultimate gift to us, His valentines. On a day that was often filled with disappointment for me (because I happened to marry someone who wasn’t blessed with thoughtful gift giving skills, but IS gifted with qualities that I rate of eternal value so I have learned to get over myself)… I truly had one of the best Valentine’s days ever. I’m thankful for my health soooo much, and my valentine has been there for me “in sickness” this past year – that it filled me up to bless HIM with some extra special gifts this year! So what did we spend our Valentine’s day doing this year? First of all, I *love* Valentine’s day… I normally dislike hearts (as in, the shape of a heart)… Valentine’s day and this season is the exception. I spent the morning with the kids baking crust-less apple pies to share with each other and their grandparents after lunch, and I prepared a big batch of bone broth to start saving back. 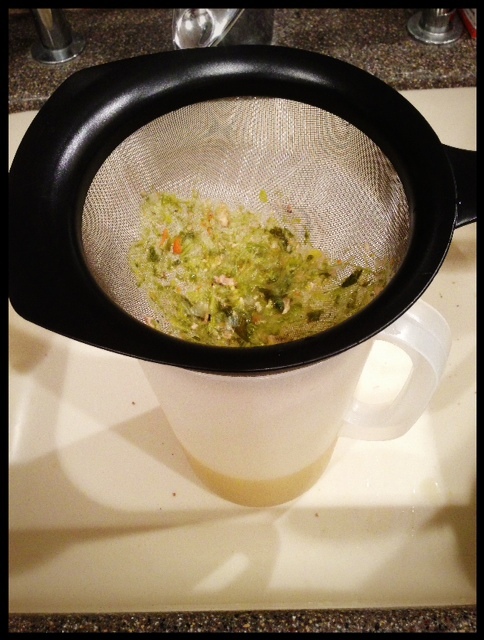 You might be shocked to know, as I was… that the nutritional value in ANY store-bought bone broth…. You remember the saying, “Chicken soup heals the soul”? Well, unfortunately it doesn’t have any healing properties if it’s not home-made from organic chickens/meat source – because none of the store-bought brands contain the nutrients in a homemade bone broth and they’re loaded with preservatives to keep their shelf life long. Another “boxed”or canned dead food that truly is best in its living state. You also might be shocked to realize that even those delightful organic “broths” you can buy can LEGALLY put MSG in them, even if they state, “MSG FREE”. How can that happen? It’s hidden in other things, like “natural flavors”. The law states as long as the MSG is less than 50% of those natural flavors – then voila! Skirt the issue. I had no idea… I assumed I was purchasing something of quality that would help HEAL my leaky gut. I was sadly mistaken. After the 8 hours of simmering, I strained all of the bones and vegetable pieces out this way. Worked like a charm and I have 3 huge containers of bone broth ready for soup making or recipes calling for broth! It’s clear that in our effort to cram more thing into our lives, we’ve lost a lot of the essential importance in our lives… and definitely in the HEALTH and quality of our lives! But, like most people – you don’t slow down until you’re forced to. I am so grateful I have had to slow down. I no longer get stressed that I can’t do it all. Besides, God didn’t design me with the expectation of doing it all anyway! Have a great weekend and start boiling up the bone broth for our cooking and nutritional needs! I want you to be healthy for HIM also!! Posted on February 15, 2013, in Food To Try, Label Reading and tagged bone broth, celiac disease, crustless apple pie Paleo, healthy for him, label reading broth, organic broth. Bookmark the permalink. Leave a comment.